The awards keep coming for Westfield W-League star Sam Kerr after she was voted the National Women’s Soccer League’s Most Valuable Player for the 2017 Season on Saturday (AEDT). In the same week the 24-year-old was named Australia’s Sportswoman of the Year, Kerr got the nod as the NWSL’s best after a phenomenal campaign in the US. 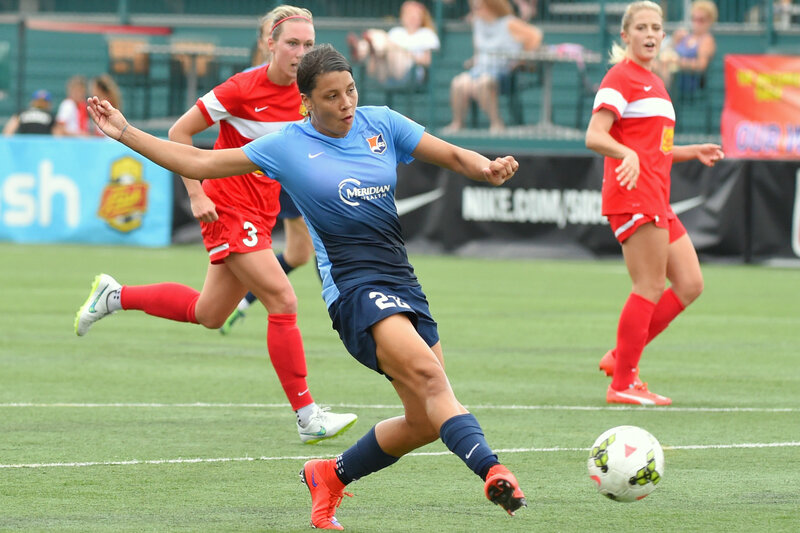 Kerr broke the NWSL single-season scoring record with 17 goals, including five match-winners for Sky Blue FC. The Perth Glory Wesfield W-League striker also had four assists and he 21 points is the second-highest single-season total in NWSL history. There wasn’t many attacking stats the Westfield Matilda didn’t dominate. As well as the most goals she had the most shots (91), shots on target (54), as well as offsides (38). She scored two or more goals in a match on three occasions, including an incredible four-goal haul in a 5-4 win over Seattle Reign in August, becoming the first-player to score two hat-tricks in a season as well. It’s no surprise Kerr took out the NWSL’s top gong given she was named NWSL Player of the Month twice, voted to the Team of the Month four times and honored as NWSL Player of the Week on three occasions. She is also the league’s all-time leading scorer with 43 career goals. You can catch Kerr in Australia from next weekend as she begins the Westfield W-League season with Perth Glory in a grand final rematch against Melbourne City. She’ll also be a part of the Westfield Matildas squad that will play a two –game series against China in Victoria next month.